Undeniably one of the best examples of these "go anywhere" liveaboard vessels to come up for sale in a long time. Shofar II is a newly and lovingly restored liveaboard motorsailer. This restoration project has taken 6 years to complete and she is available for viewing now in absolutely stunning condition. 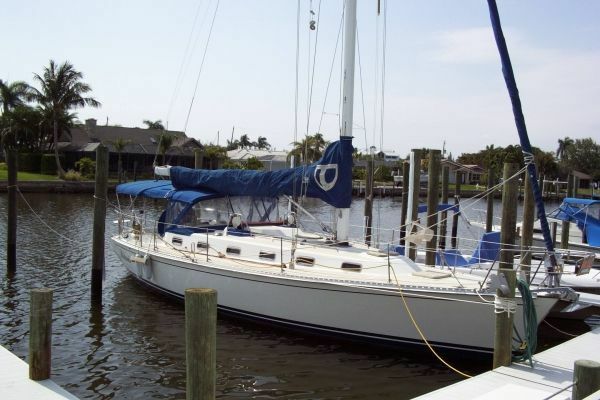 The restoration included new decks, 2# new Mermaid 16,500 BTU ac systems, new generator, onboard front loading washing machine, new aluminum mast, standing and running rigging, new full-length bimini and complete upper and lower professional Awlgrip paint job. Having completed 3,250 hours the Lehman 120HP engine has undergone a professional rebuild and was installed and sea trialed December 2017, This lovely example, Island Trader motorsailer must be seen to be fully appreciated. The current owner sadly realizes that she is too big for one person to handle and reluctantly is looking to downsize.